Loreburn Housing Association recognised by Investors in People. Loreburn Housing Association has announced that it is continuing its “significant turnaround in fortunes” by gaining three Investors in People accreditations for excellence as an employer. 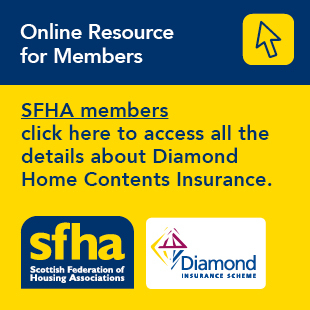 The Dumfries and Galloway social housing provider, which manages around 2,500 homes across the region and employs a team of 100 people, completed a two-year period of intervention by the Scottish Housing regulator last year. Earlier this month, Loreburn secured three Investors in People standards – the Investors in People Gold Award, Investors in Young People Award and Investors in People Health and Wellbeing Award. The good news comes hot on the heels of Loreburn’s win at the Chartered Institute of Housing’s Excellence Awards, where Hallam House in Beeswing was given the Excellence in Development for Rented Properties Award. Loreburn was also a finalist in two further categories. “When I found out that we’d secured three Investors in People awards at the same time – which I’ve been told is very unusual – I was delighted. “We’ve achieved this result with the help and support of the team and their suggestions on how we can improve, 87% of which were implemented when the business was remodelled. “I’d like to add my congratulations to Lorraine and the team at Loreburn Housing Association on this achievement. “The Investors in People review shows that Loreburn is fit for the future and ready to provide the best possible service to the community. Pictured: Some of Loreburn’s Modern Apprentices with the Investors in People awards. From left to right: Robert Thomson, William Lee, Alex Patterson and Micky Mulholland.